In todays interview I get to speak with cholesterol biohacker, Dave Feldman, about how when some people eat a high fat or keto diet their cholesterol goes up a lot! Dave is a senior software engineer and entrepreneur who has become a leader in understanding how to manipulate high cholesterol levels quickly. Dave started eating a low carb high fat diet back in 2015, to avoid type 2 diabetes and regain control of his health and weight. The LCHF diet was making him feel better. His weight and energy levels were getting better. However, he did a blood test to check his cholesterol and glucose levels to check for changes. Boy were there changes. This was when he saw his diabetes risk markers improved, but he had very high cholesterol levels. 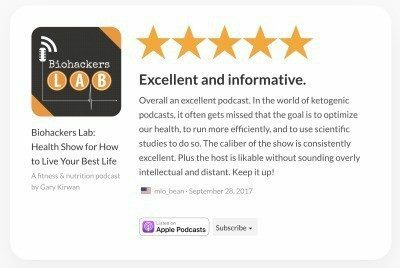 If you are worried about having high LDL levels on a high fat, keto or Atkins diet, want to know how to reduce your cholesterol without using medication or what foods to eat then this podcast is for you. I discuss with Dave how hyper-responders can be lost for answers which is why his n=1 experiments are so important to understand what is happening. We then go into the results of his experiments and how anybody can try manipulate their own high cholesterol using his Feldman Protocol. Special thanks to Dave for joining me on the show. Go to cholesterolcode.com to follow Dave Feldman’s ongoing cholesterol and diet experiments. 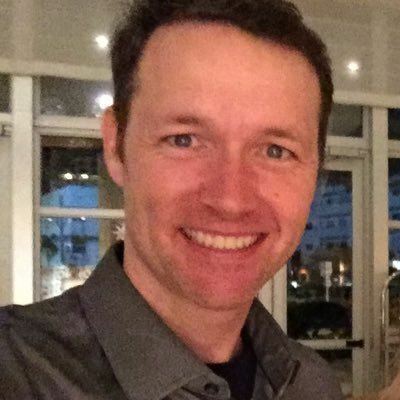 Follow Dave on Twitter to ask him any more questions. [1:53] – Explaining the concept of “hyper-responder”. Dave talks about his own experiences after discovering he was pre-diabetic and switching to the low carb, ketogenic diet. Are there concerns about the possibility of high cholesterol with this diet? For most people, there is a very small change in cholesterol levels. However, after 7 months on a keto diet Dave found he suddenly had a very high increase in his cholesterol scores. [4:20] – Dave sets out to find out more about these results and in the process of his search for answers he learns everything he can about the lipid system and cholesterol homeostasis. He then uncovers a pattern, calling it the Inversion Pattern. [5:25] – The Inversion Pattern shows, over and over again, that the higher the amounts of dietary fat he had the lower his cholesterol was, within a certain range. [5:44] – Another of Dave’s more recent experiments (see here) has preliminary findings showing that swapping out some of the fat with carbohydrates in his diet did change his status as a hyper-responder. [6:03] – Dave talks about how his core beliefs have solidified since starting his research and the weak correlation between high levels of cholesterol and the build-up of plaque in the arteries, atherosclerosis. [6:35] – Dave’s experiments and data show how cholesterol scores can be manipulated. How these cholesterol results can cause concern and uncertainty in individuals following the low carb high fat diet and how whilst feeling better than ever on a low carb diet, Dave is researching any possibility of potentially negative effects from raised cholesterol levels. [11:25] – Discussing the ketogenic diet’s effects on appetite and weight management. Increasing healthy carb intake and finding the right balance. [13:30] – Why Dave had 63 blood tests in 18 months (68 up to this point)? The importance of multiple blood draws in interpreting lab results due to the 3-day window for LDL and HDL cholesterol. The same is true for particle counts (LDL-P), which are also on a 3-day window but with a 2-day gap. How the individual’s diet during that period affects the cholesterol levels significantly. [16:12] – The consistency of these results indicates that the body is effective at counterbalancing the lipid numbers. While this is comforting to a degree, Dave explains why it could also be a concern. When there is a build-up of cholesterol, is the lipid system broken or is it just making a mistake? [18:11] – Explaining the clearance theory which states when the liver, along with other cells in the system, struggles to pull back cholesterol out of circulation, it builds up in the system where there’s an increased likelihood of it oxidising and invading the arterial wall. [18:38] – What is the impact of Dave’s research which demonstrates his ability to clear particles quickly by having huge amounts of dietary fat (particularly saturated fat). The body adapts and responds to the amount of dietary fat coming in, bringing cholesterol scores down to a predictable level. [19:41] – Reinforcing the importance of multiple blood draws due to the fluctuation that goes on in the system. [20:40] – The story behind Dave’s experiment called the Feldman Protocol. By increasing the dietary fat days before a blood test, can one see a drop in their cholesterol levels? Does this method work on any diet? Is it just for hyper-responders? [24:30] – Dave explains the mechanism behind how the Feldman Protocol works. How the two types of LDL particles (chylomicrons & the very low-density lipoprotein (VLDLs)) and the amount of fat we eat affect our cholesterol levels. [26:43] – Disabusing the theory that the amount of cholesterol that we eat ends up in our blood stream. [28:19] – How fluctuations in our cholesterol levels result because we are capturing only half of the energy balancing system. Why Dave does not feel too concerned about his high cholesterol levels and why it makes sense to have so many LDLs circulating in the blood stream. [29:44] – There is increasing evidence for what Dave likes to call, the Alternative Glycogen Store Theory. Do leaner, athletic types of individuals seem to be more likely to be hyper-responders, in particular those with lower levels of triglycerides and high levels of LDL-C and LDL-P? Gary mentions Dr William Davis, from Wheat Belly, post on Lp(a) traits. [34:15] – Discussing the difficulty of testing this theory. Would gaining fat have an impact on whether someone was a hyper-responder or not? [35:46] – Dave talks about the huge jump in his LDL-P and LDL-C levels after a 3-day period of fasting. [37:40] – Why reinforcing the need for multiple tests for anyone making a lifelong therapeutic decision is so important. How almost all cholesterol studies are conducted without paying attention to the 3-day diet of participants. [38:50] – There is a need for more people within the lipidology community looking into the patterns that emerged during Dave’s experiments. Dave talks about his attempts to contact these individuals and acknowledges that he is up against the pharmaceutical industry that benefits from the current paradigm. [39:54] – Other than the lipid level tests, Dave has undergone tests such as the CIMT test (3 times), the echo test, stress test and at the North Shore University in New York he had what is arguably the most advanced non-invasive heart scan CT in the world, 640-Slice. [41:38] – Applying the dose-response argument to cholesterol and problems with the high cholesterol leading to atherosclerosis hypothesis. [42:36] – Explaining limited elasticity and why we would expect the life expectancy to decrease with increasing levels of cholesterol. [44:55] – Why Dave believes there is a weak association between higher levels of cholesterol and higher levels of cardiovascular disease. How LDLs play a role outside of energy distribution in infectious and reparative events. [46:12] – Why smoking is linked to a high risk of cardiovascular disease even when cholesterol might be low. The key is to find out what it is that makes the vascular system weak or strong. Dave explains why he believes the weak association between cholesterol and atherosclerosis may be due to the body’s response to stress bringing higher levels of cholesterol. [47:44] – According to the inversion pattern we would expect to see much higher levels of cholesterol (perhaps for a healthy reason) more often at the point of death due to the patient’s lower appetite. This is something Dave would be interested to explore further. [49:43] – Dave describes his recent experiment, which at this stage is extremely preliminary, where he attempts to manipulate his cholesterol and bring levels down significantly. [52:25] – How increasing the amount of carbs lead to a decrease in cholesterol levels, but not in the way expected. The relationship was not linear, there was no noticeable difference in cholesterol levels until a certain threshold was crossed. Dave discusses some of the theories behind this. As hyper-responders do we need a certain amount of insulin to bring down total lipid numbers? [54:40] – The amount of carbohydrates needed for hyper-responders to get this response may vary for different individuals. Dave explains why it’s not about simply just having higher levels of carbs. [1:02:24] – How to best to reach Dave through comments on his blog, how he participates in this Ketogenic Forum and lastly to how to help donate money to help fund Dave’s ongoing cholesterol research. My pleasure Lee. I would say Dave is one of the best go to resources in the LCHF/keto community for understanding cholesterol and how hyper-responders react to eating more fat or less carbs. Great stuff, but no mention if exercise during the lead up to the blood check can or cannot be continued? Is exercise permitted during the lead up? Thanks for the commentary. It makes it easier to understand Feldman’s graphs. I had high cholesterol before starting intermittent fasting and keto diet. I have lost 20lbs and feel great. I am about to go to the doctor and worried my blood work will show high cholesterol. This is going to be interesting. Me too Michelle! Freaking out a little but I feel good on the diet. I have lost 20lbs, feel great, but feel deprived since this diet is so prohibitive of many fruits and vegetables. Not only that, my ldl is high! My Dr. recommended Avorstatin (20 mg). I will continue with a sensible eating routine – a small portion of foods and, yes, I will take the cholesterol med and see how the LDL measures in 6 months. I walk 10,000 steps or more daily and drink 2 bottles of water.